Mukesh Ambani is leaving no industry untouched in India. From oil to telecom, Ambani holds a number of companies in diverse segments. The latest entry being to taxi space. Mukesh Ambani-led Reliance Jio is foraying to taxi space with an app-based booking service similar to Uber and Ola. The services are more likely to be launched early this year. According to a report, Reliance Jio has ordered 600 cars from makers like Mahindra and Hyundai to start the services soon. The service is likely to be called as Reliance Jio Cabs. Reliance Jio Cabs is said to compete with Uber and Ola cabs with aggressive pricings. The company roped the consulting firm E&Y to design the pricing strategies to align with Reliance Industries to capture a majority of market share. The company is coming up with an idea to serve with its own fleet of cars and engaging independent cabs like the business model Uber and Ola works. The services will initially kickstart in Bengaluru and Chennai and later move to Delhi and Mumbai. The company has also planned to serve to smaller cities like Bhopal and Jaipur in the later phases. The entry of Reliance Jio into the telecom space left the rival operators to shed their profits and stock prices. 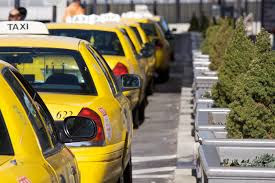 Taxi companies are witnessing an exponential growth in the recent years. The taxi companies served 130 million rides in 2015 which soared to 500 million rides in 2016. Soft bank predicted that the taxi market is likely to touch $7 billion mark by 2020.